There's this one little spot in my scrapbook room... on a corner of a hutch. And it makes me smile every time I walk by. The things there aren't particularly special, and arrived there through no type of planning or arrangement. I just happened to sit them down there one by one, over the course of a while. 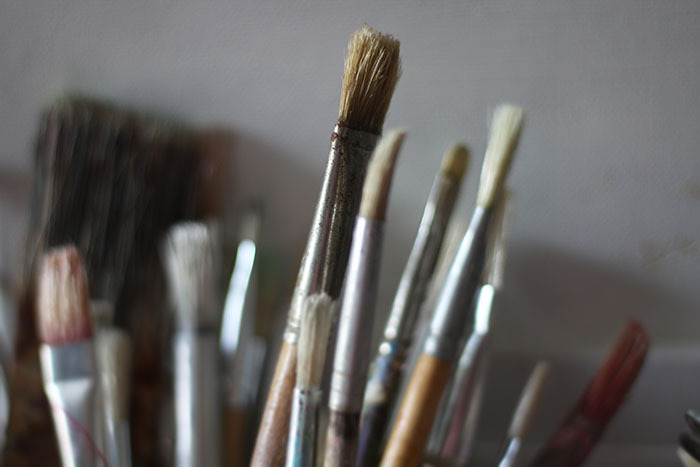 But there's something about that PINK and the crown of brushes, that I just love. 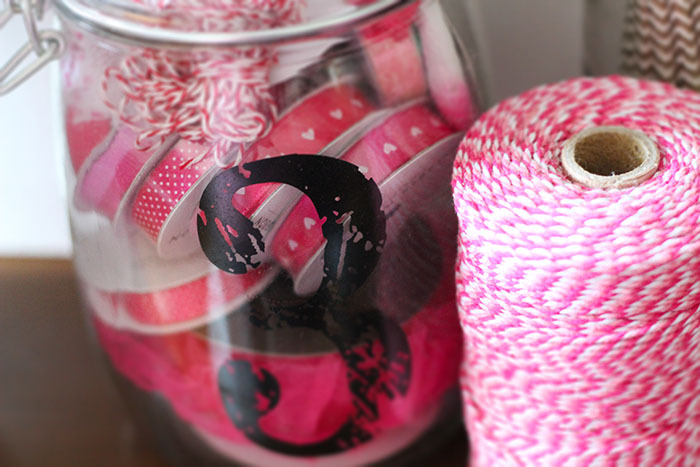 I love that numbered 3 canning jar (there's a 1 and a 2 elsewhere in my room) full of my favourite pink ribbons.... and the pink twine. And the way the paintbrushes spray out of the shabby crown urn is just so random, and perfect. Do you have a favourite spot in your house or where you scrap? Or something so small it seems like it should just go unnoticed and unappreciated, but it makes you smile? I'm in the middle of preparing for moving, so my space is a horrible mess. 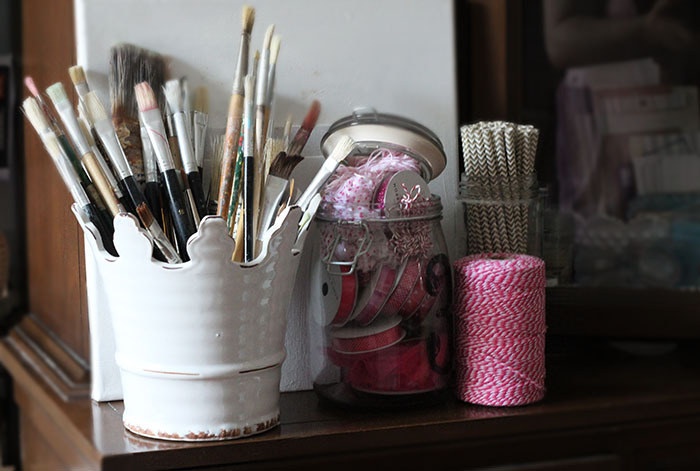 But, right next to me is my basket of washi that I have organised into colour order, and I just love it. I can't help to touch it and play. I love the colour. It makes me so happy! I'm looking forward to being moved into a new place because I can't wait to create my space, my new space.